Since launching in 2008, the Victoria Beckham fashion brand has developed a distinctive and modern language. In 2009 Victoria Beckham expanded her brand by introducing her eyewear collection. The sense of depth, texture and exquisite detailing found in the eyewear line reflect the same inspirational, chic and refined aesthetic that is at the heart of Victoria’s creative vision. Her distinctive and modern language of design is seen throughout the collection. Effortless, refined and always injecting just a little bit of her humor. Victoria Beckham eyewear is developed at Victoria’s studio in London and 100% expertly handcrafted in Italy. The unique expertise offered by specialised local workshops and studios in the Valdobbiadene region in Italy encompasses both artisanal techniques and modern technological advancements. This four-week production journey includes 37 assembly processes, all monitored with scrutiny. Frames are hand cut then tumbled for five days in resin chips and finished with two stages of hand polishing. All hardware is functional; all exposed pins are integral to each frames design and structure. In-house production enables VB to source exclusive materials and to collaborate with Zeiss for lenses, ensuring optimum optical performance and protection. The finest materials are used across the collection offering premium quality eyewear. An exclusive rose gold coloured anti-reflective coating is visible inside all VB lenses. This coating, which eliminates light reflections and limits glare, has a bespoke, subtle gold hue that has been developed with Zeiss exclusively for Victoria Beckham. 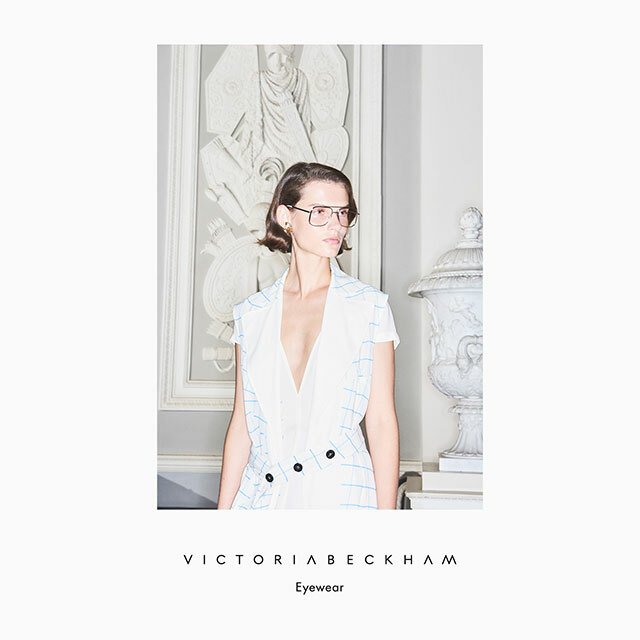 Victoria Beckham eyewear is exclusively available at Luxury Eyewear in Oakridge Centre in Vancouver, BC.